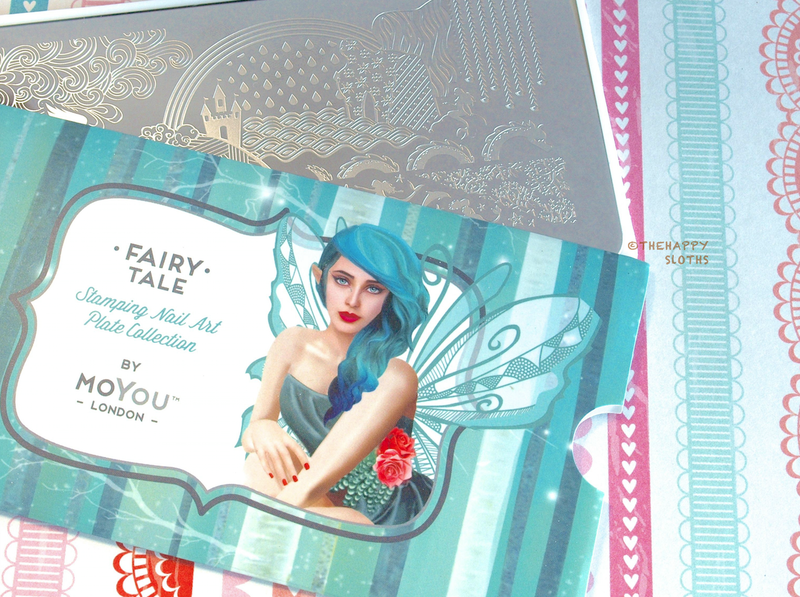 The full image stamping plate is mounted on a plastic board for easy handling and it also comes with a beautifully designed sleeve with an image of a fairy on it (her name is Luna). 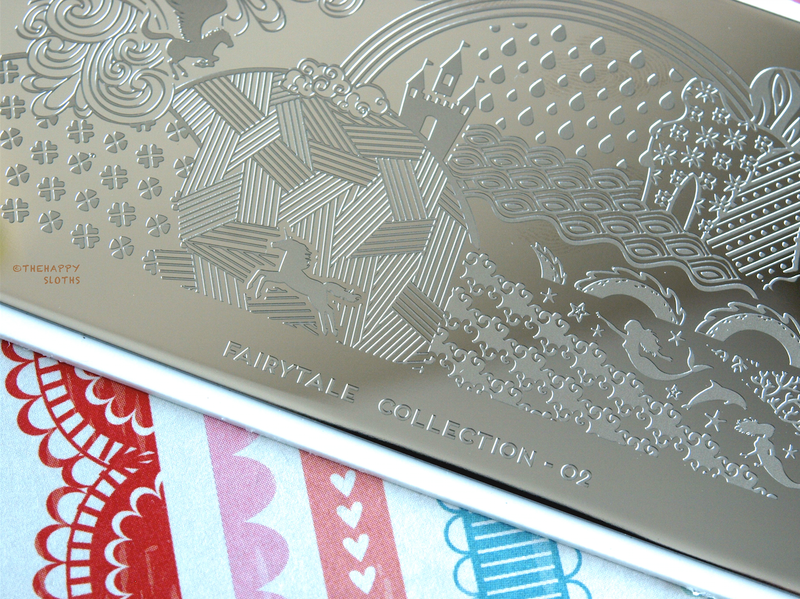 The full image stamping plate comes with various design patterns and even a few images of unicorn, dolphins, and a mermaid. This plate, like other MoYou London plates I have tried, works super well and with a polish suitable for stamping; all the images came out very cleanly and nicely. 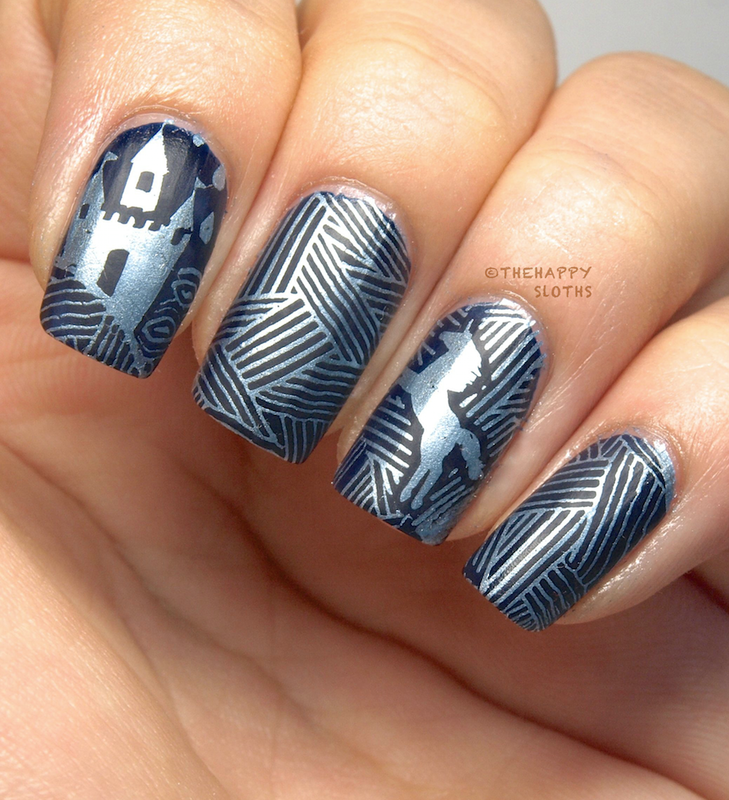 For the look I created I used the zig-zag line patches including the tiny unicorn and the the castle design above it. The polishes I used is the matte and shiny duo from Revlon called "Pinstripe", which is now officially my favorite stamping polish. I honestly am so in love with MoYou stamps, I kind of want to save up and buy every single plate ever released and just frame them about my desk. So beautiful! 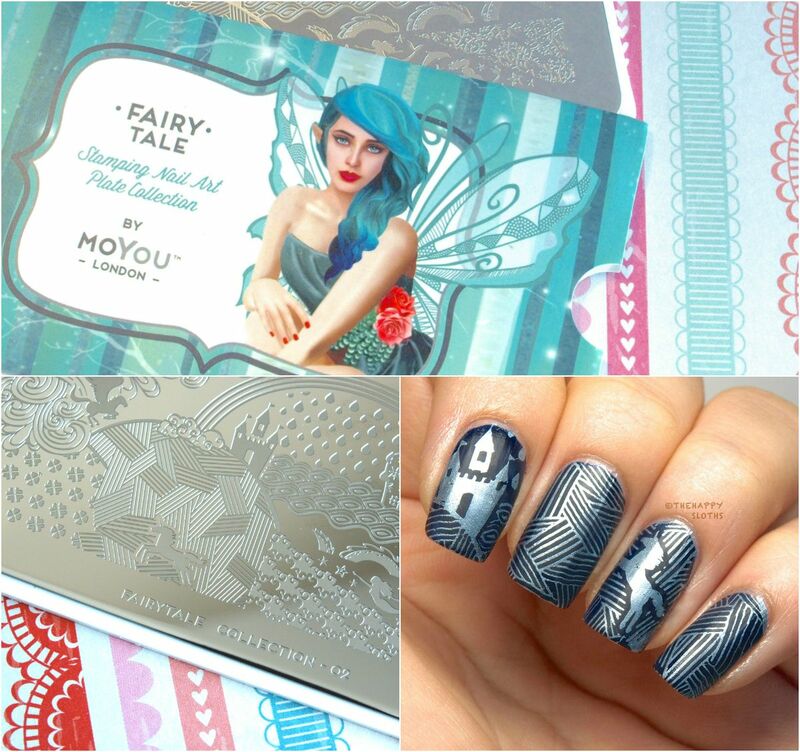 MoYou London stamping plates are available online. Have fun looking through all their stamping plate collections! What do you think of this "magical" manicure? Would you ever incorporate unicorns in your designs? Let me know in the comments below! Have a good Friday!